Shintaro's thoughts on the colloquium, a reminder of the ICORIA 2015 deadline and any volunteers for reviewing? The 14th International Conference on Research in Advertising 2015 will be held in London, UK, one of the most exciting cities in the world. Around 150 papers on various topics related to advertising and brand communication will be presented during the two days of the conference: July 3rd and 4th, 2015. The 2nd Doctoral Colloquium, followed by a welcome reception, will be held on July 2nd. The conference will take place on the campus of the Birkbeck, University of London. A gala dinner is scheduled on Friday, as well as a sight-seeing tour of London on Saturday, following the last sessions of the conference. 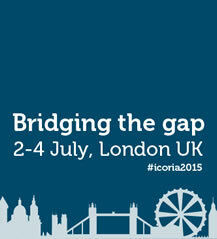 If you are interested in presenting your work at the ICORIA 2015 conference, please submit a five page summary of your paper as soon as possible (but no later than March 15, 2015) to papers@icoria.org. The full call for papers and the style guidelines can be found here. We look forward to welcoming you to London in 2015! 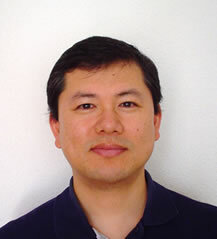 The EAA is happy to announce that Professor Shintaro Okazaki (currently President of EAA and Editor of Journal of Advertising) will be one of the speakers at this year's doctoral colloquium. He will share his view of current issues in advertising research as his experiences as editor with the participants. Here is a brief interview with regards to his participation. Shintaro, what are the most important issues for contemporary advertising research? The first issue is related to the definition of advertising. Over the decades, important differences may have arisen in the meaning of "advertising". While we have struggled to propose, extend or update advertising theories, the notion of advertising has evolved considerably and may also be ripe for change. The second issue is related to interdisciplinary collaboration in our field. I've seen some attempts that explore issues involving advertising in other disciplines, such as effective health messages or social media data mining. I strongly believe that we should make more effort to expand in these directions. The third issue is related to replication research. It is striking that less than 10% of all of the articles published in Journal of Advertising during the last three decades have been replicated. A lack of replication in advertising research has brought us to a really paradoxical situation ― our theory building efforts have produced a pile of unreplicated research findings. Thus, there should be a call for more replication research in our field. For two reasons. First, it provides a platform for networking with other PhD students around the world. You may find great opportunities for information exchange and future collaboration. In the Meet the Editors session, you can directly address questions related to journal publications, such as manuscript preparation and review process. Second, the program offers a workshop to learn one of the most useful quantitative literature review techniques―meta analysis. Our guest-lecture is one of the most internationally recognized and acclaimed experts, Professor Martin Eisend of European University Viadrina. Don't miss this opportunity! More information on the doctoral colloquium can be found on the EAA-website. Since February, the EAA website contains a members only section. In this section, all EAA members can find the proceedings of the past ICORIA conferences. Recently we added a digital copy of: Costa Pereira, F., Verissimo, J. and Neijens, P.C., eds. (2008). New Trends in Advertising Research. Lisbon: Silabo Publishers. EAA members can access the members only section after registering their own user name and password at the website. We hope that many of you will register. Please note that we have to verify your membership, it can take a while before you receive a mail to notify that your website account is active. For the upcoming ICORIA, we are looking for new volunteers who are willing serve as a reviewer. Reviewers are asked to review two short (five pages) papers by rating the paper on some aspects and by noting some strengths and weaknesses of the paper. The timeline for scheduling the conference requires that all submissions need to be reviewed before April 11. Papers will be sent out for review around March 23. If you would like to learn about new research findings before anyone else, and have not acted as a reviewer in 2014, please sign up as a reviewer by sending an e-mail to papers@icoria.org. If you are already on the list, you can ignore this request. Thank you very much for your help!